BRYAN EATON/Staff photo. 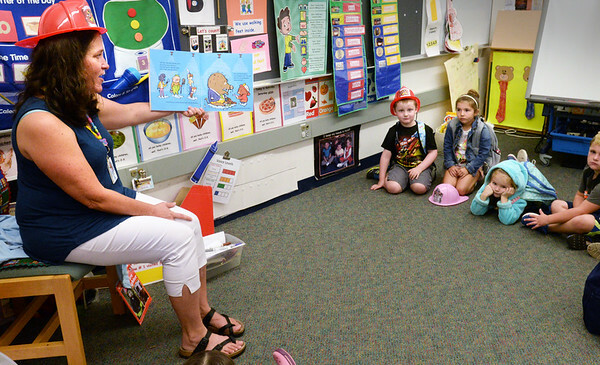 Salisbury Elementary School pre-kindergarten teacher Julie Deschenes reads a book about a boy who made believe he was a firefighter. Earlier Wednesday, the Salisbury Fire Department showed off a fire engine and gave safety tips to the youngsters for Fire Prevention Month.